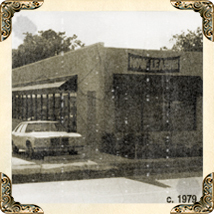 Granberry Commercial Properties was formed in 1978, soon after founder and president Jim Granberry graduated from Southern Methodist University. The company's first acquisition was just across the road from his alma mater on Dallas' historical Dyer Street. From the beginning, the primary focus of Granberry Commercial Properties has been on giving personal and professional attention to the needs of the company's clients and tenants. Since 1978, the company has continued to prosper in spite of wide swings in the economy, interest rates as high as 21%, the savings and loan scandal, and the massive transfer of property instituted by the Resolution Trust Corporation (RTC) during the 80's. Granberry Commercial Properties was one of the few real estate companies to continue under the same ownership during this time. Granberry Commercial Properties remains committed to the principles of professional service, attention to detail and integrity upon which it was founded. Granberry Properties has great contacts in all the different areas of commercial property management and each company they recommended was top notch. We have great confidence in everyone at Granberry Properties to have our best interests at heart and to handle every situation with the utmost efficiency and professionalism.